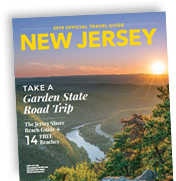 Stop by one of our welcome centers to pick up a travel guide, map and/or brochures. Our staff will gladly help you find any information you are looking for on New Jersey. Please call ahead for operating hours. CRRNJ Terminal, 1 Audrey Zapp Rd.